One of the clearest and most unavoidable takeaways from the infamous New York Times interview with the cast of Arrested Development is that the male stars in attendance—specifically Tony Hale, Jason Bateman, and David Cross—talked way too much. The three of them essentially stumbled over each other in an attempt to defend their co-star Jeffrey Tambor, who directed a furious outburst at his on-screen wife Jessica Walter while filming the new season, to the point where none of them seemed to recognize just how much Walter had been upset by both the incident itself and their elaborate steps to try and downplay it. 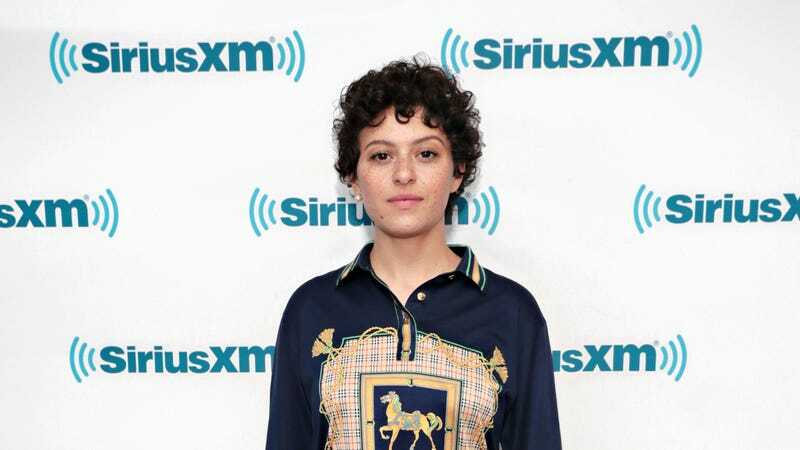 However, one cast member who wishes she had been able to say more in the interview is Alia Shawkat, Arrested Development’s Maeby Fünke, who sat down with Broadly to deconstruct what happened during the interview. Shawkat says the topic of Tambor’s outburst at Walter and the sexual harassment allegations that got him fired from Transparent had come up in other interviews throughout the day, and Tambor had always given a “rote response” that nobody else felt much of a need to jump in on until the Times interview. When Bateman and the others jumped to his defense, Shawkat says she “immediately felt uncomfortable” because she knew someone would have to step in and explain that the issue was bigger than whether or not Tambor had ever exploded at them on set. She never got a chance to do that, though, because her male co-stars were so intent on talking about Tambor. She says she could tell that Walter wasn’t taking the conversation very well, noting that the men would continue talking even if Walter tried to speak up about the thing she experienced, but Shawkat couldn’t hold back once Bateman began to suggest that innapropriate behavior is actually a normal thing that some actors do. She jumped in to say that it doesn’t make that kind of behavior acceptable and that people need to respect each other, which is when Walter began to cry. Shawkat says they never talked about how to address the Tambor stuff beforehand, so when it all came out in the interview, they ended up having an “intense moment” in public that should’ve happened in private.